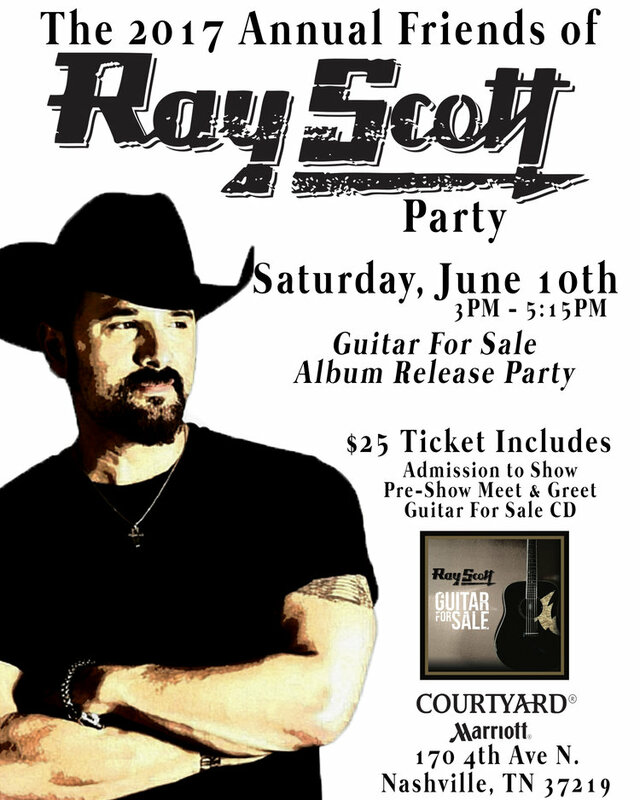 Ray Scott Album Release Party On Sale Now! Join Ray Scott for his annual Friends of Ray Scott Party on Saturday, June 10th from 3-5:15 PM at the Downtown Nashville Courtyard, located at 170 4th Ave N. Nashville, TN 37219. This will also be the official album release party for Guitar For Sale! Tickets are $25 and include admission to the show, a pre-show meet & greet, and Guitar For Sale CD.